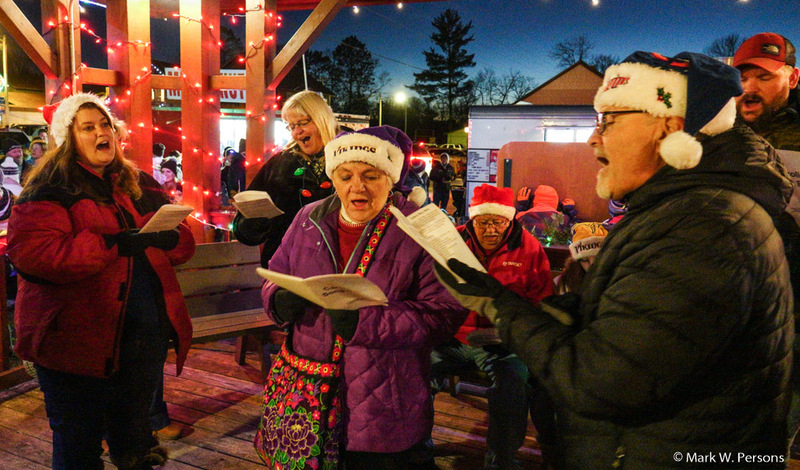 The annual Nisswa, Minnesota, Lights Celebration. It started before dark with horse drawn wagons. 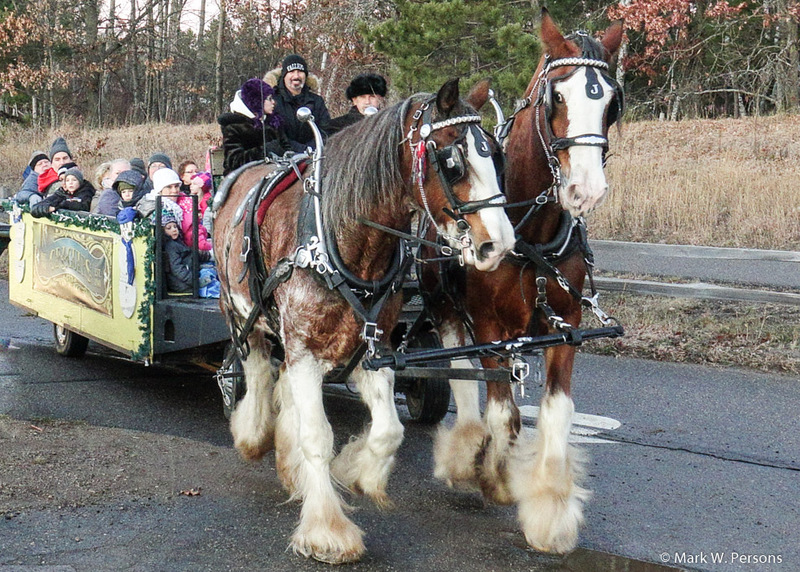 Look at the hoofs on those draft horses. 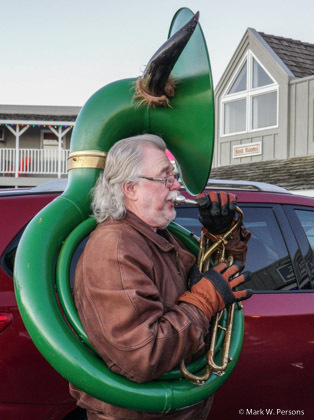 Best not to get in their way. 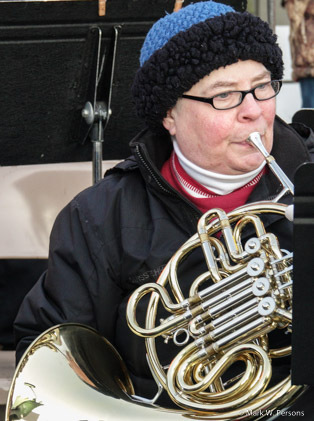 Local musicians put on a concert to help the Salvation Army raise money. 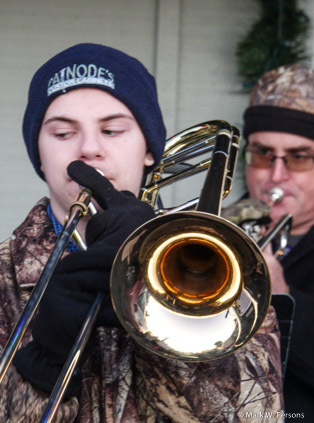 These amateur musicians donate their time every year for this cause. Lots of family photos were taken that day. Some likely appear on Christmas cards. 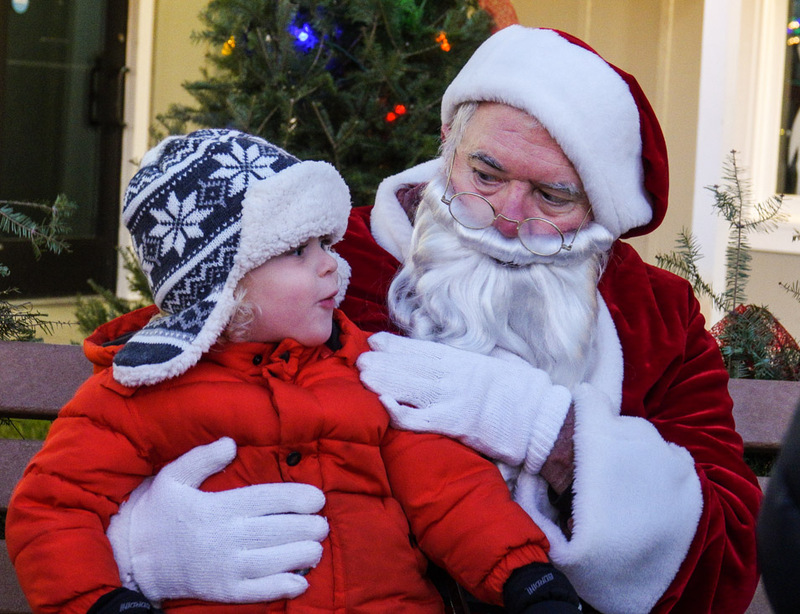 Santa was there to ask kids what they wanted for Christmas. Nice man. 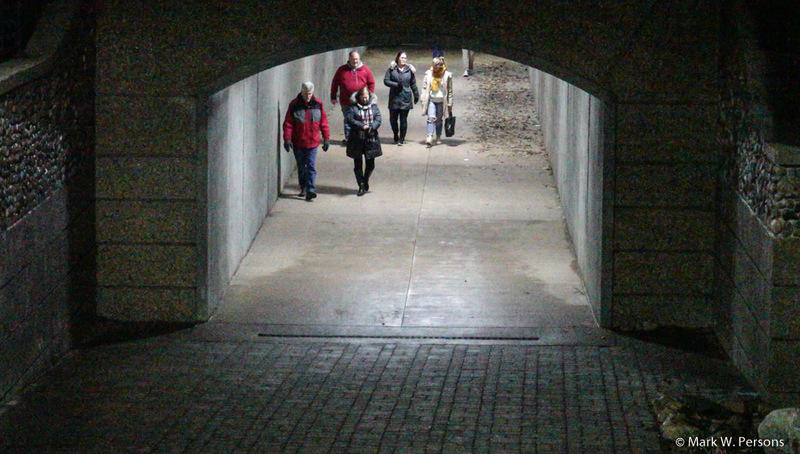 Some visitors arrived by walking under Highway 371 through a tunnel. 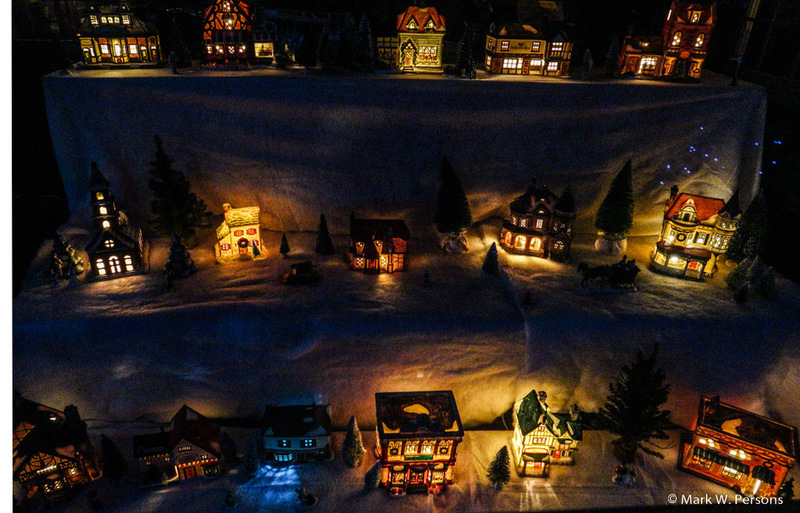 The Pioneer Village showed off a Christmas scene with miniature homes and businesses. 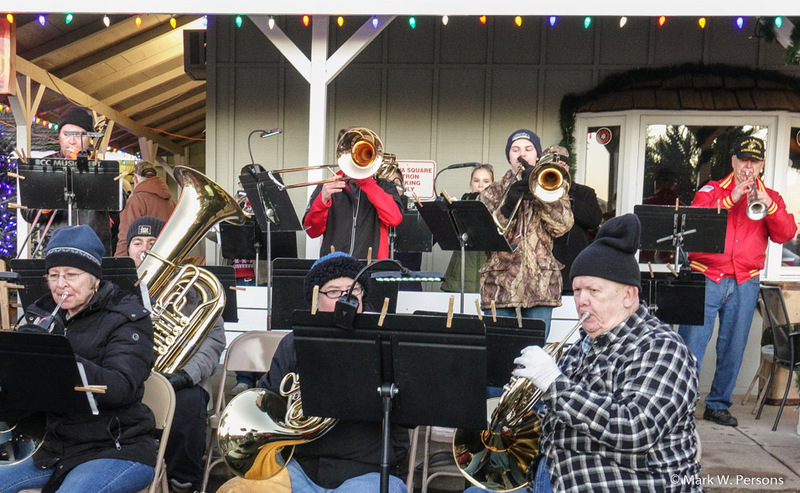 Yes, there was a lot of holiday song to go around. 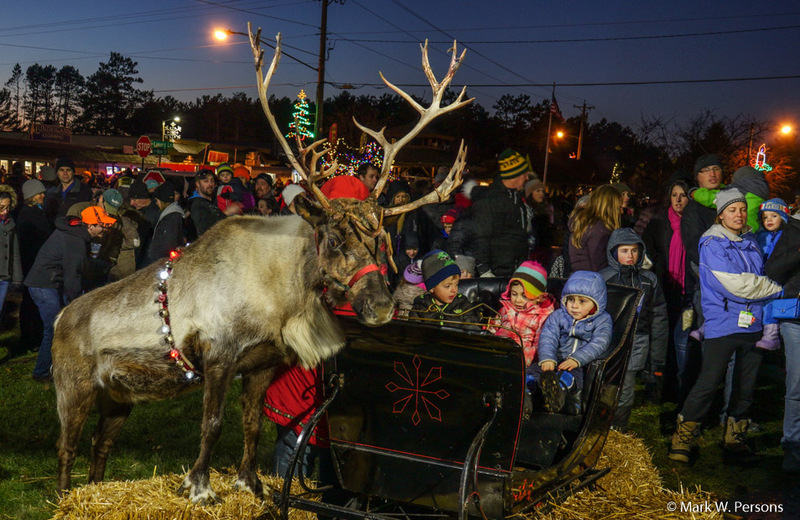 A live reindeer was there to delight kids. 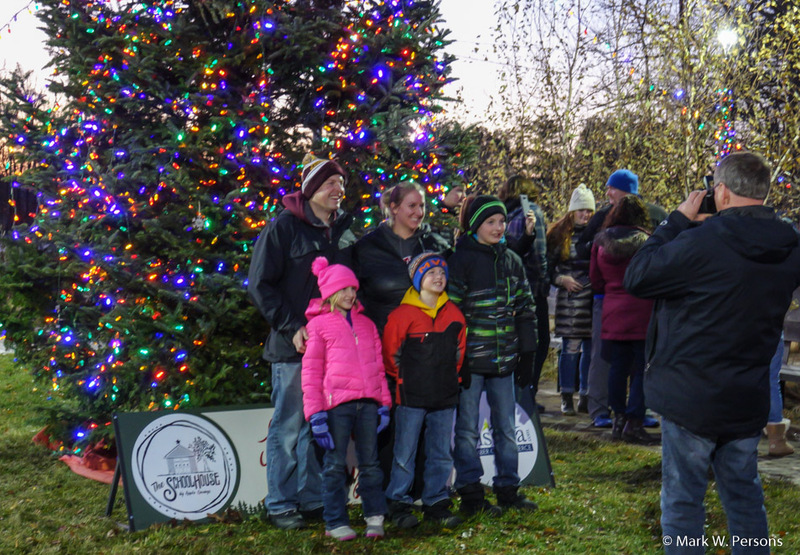 A great photo opportunity for parents. 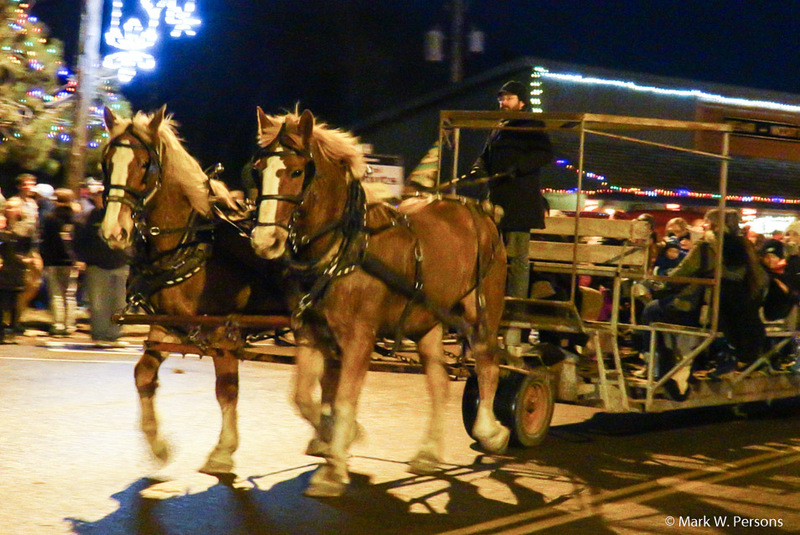 Horse drawn sleighs ran through the evening. 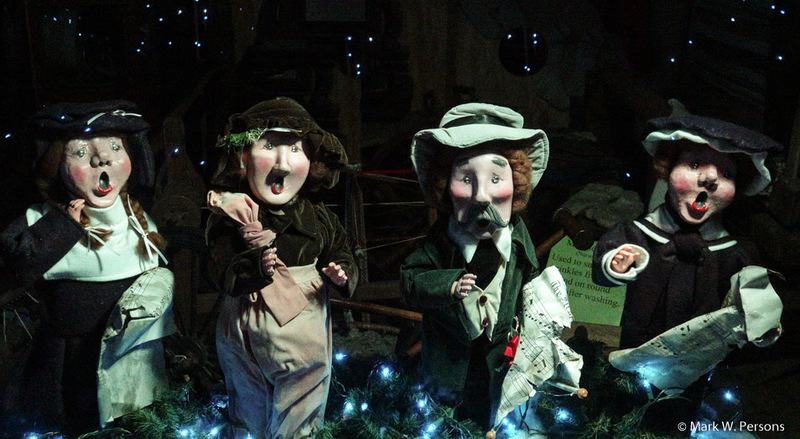 Then there were the village singers with Christmas carols. 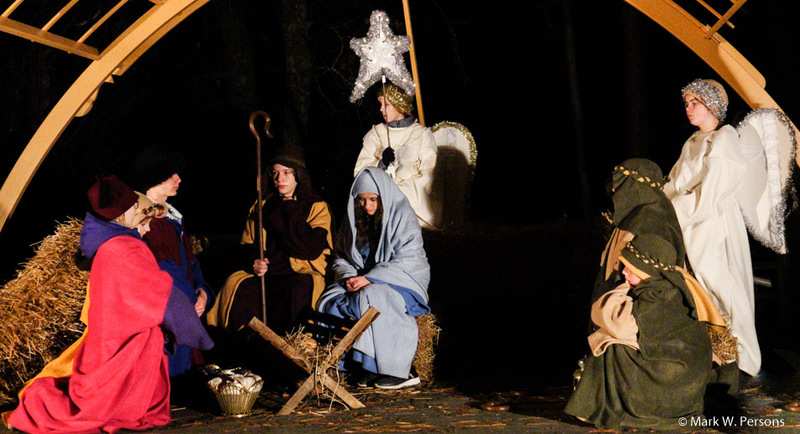 The Lake Country Parish put on a nativity scene to honor the birth of Jesus. 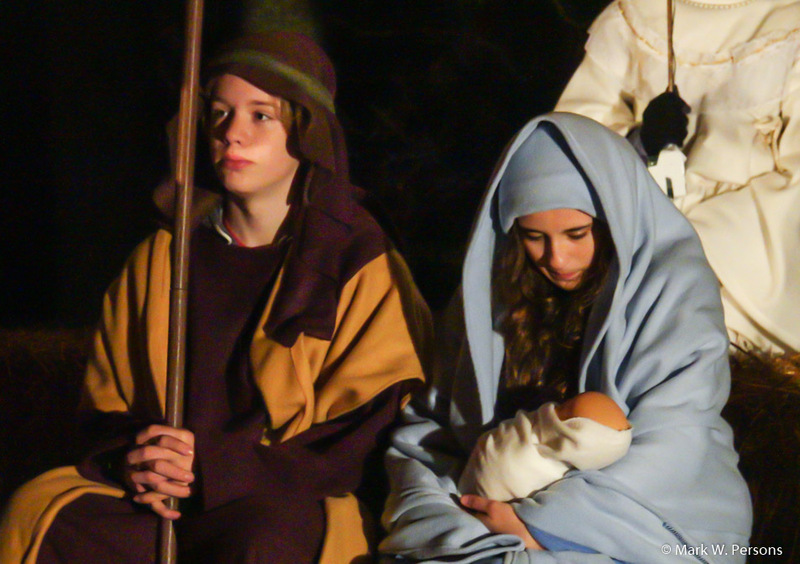 Joseph and Mary were there with the newborn Jesus. 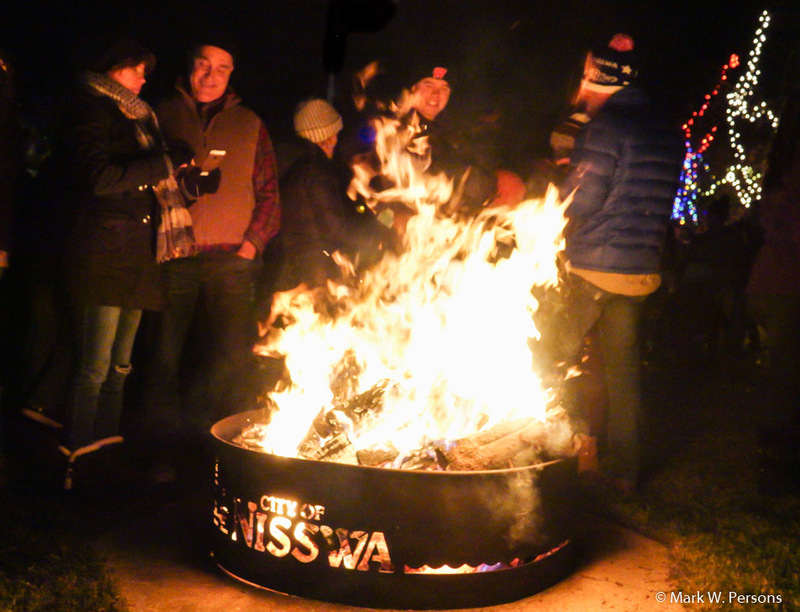 Fires, by the City of Nisswa, kept visitors warm as temperatures cooled off that night.